Summer Lovin' Week continues at GReads and the fabulous Jen from Makeshift Bookmark has a post dedicated to the music from Amy & Roger's Epic Detour by Morgan Matson. Be sure to stop by her blog to have a listen at her Soundtracking post for this amazing summer read! Also don't forget about my GIVEAWAY for a chance to win 5 of our favorite summer reads! 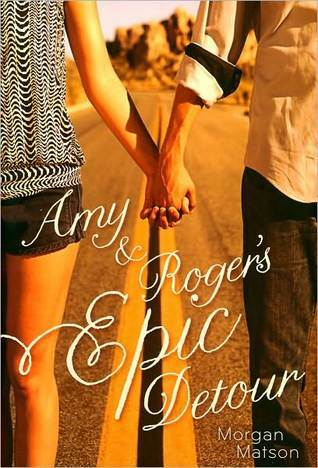 I had the opportunity to read Amy & Roger's Epic Detour way back when GReads first began. My review for the book was one of the very first I had written on this blog. I thought I'd re-post it for Summer Lovin' Week! 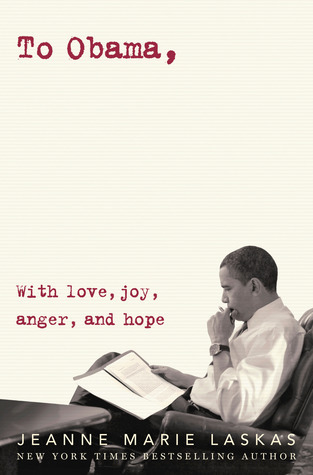 This book won me over then, and has remained a favorite of mine ever since. If you've been recommended this book through Amazon, goodreads, or a fellow book-lover friend.. GO PICK IT UP NOW! I absolutely adore this book! It kept popping up in my book suggestions on Amazon, but for whatever reason I always skipped over it. After seeing it on my fellow book blogger friend's IMM post (Jess hearts books) I took it as a sign & ordered it for myself. The story follows Amy, a teenage girl who just lost her father in a tragic car accident, which she feels responsible for since she was the one behind the wheel. She feels as though she is being punished for this because both her mother & brother have isolated themselves from her by literally moving across the country. Amy has finished high school & now she must make the trek across the great States to join her mother on the East Coast. There is only one problem, Amy refuses to drive. So what is the solution? In walks Roger (a family friend from long ago)... and so their journey begins! I loved all the little tid-bits that the author has incorporated from state to state. Amy keeps a travel journey as they make the road trip, jotting down state motto's, interesting facts, and even saving copies of gas station receipts & hotel stays. Somewhere along the journey it stops being about 2 strangers making the trek together, and more about Amy rediscovering herself and over coming fears she never even knew she had. Roger also comes to terms with an ex-girlfriend he hasn't been able to let go of. It's an interesting story to follow and I like how the author doesn't throw Amy & Roger in to some whirl wind romance from the beginning. It shows their relationship grow, as the miles on the road continue. I think it shows real substance and gives us something more tangible to relate to as the reader. The music play lists that are shown through out their journey is phenomenal. I almost felt like Amy & Roger were listening to my iPod! Music is essential when taking a road trip, along with plenty of snacks! This story shows us that it's not about the final destination, but more about how we got there. Sometimes we have to face our fears and let go a little in order to really live our lives. I applaud Morgan Matson for writing teen-lit based on such a heavy subject matter, such as losing a parent, yet still keeping it in tune with today's youth. This is a book we can all relate to! I agree with your review. This was a good book. What I loved the most was how, in the most unexpected ways, the new people Amy met along the way helped her heal. The minor characters were all so memorable and awesome. Great review! I really enjoyed this book and I thought all the little "extras" made it totally complete. You felt as if you were on the road trip with them! Loving this week, thanks for putting it on. If you had to choose one summer reading out of all the ones you have read which would it be? I'm so glad Amy & Roger are getting their day in the sun. I read this book last year and absolutely loved it! I want to read this one SO bad!!! Awesome review chick! I bought this one a while ago, because all you lovelies gush about it so often, & I've officially decided that I need to read it ASAP! It's on my list for the next book to read! :) Loved you review! All the hype suggests I simply must read this book right now. I'll definitely pick it for this summer. I'm thinking a nice sunny day and a beach towel and this book. Sounds like a great day.